Do you ever wish that some of the paintings on the wall were your own? 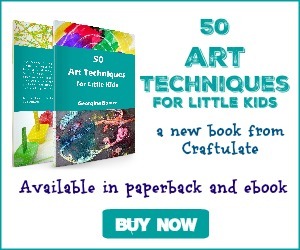 Try these easy art for ideas or adults – there are twelve techniques to choose from! If you’re anything like me, then many of your creative interests got put aside when you started having kids. 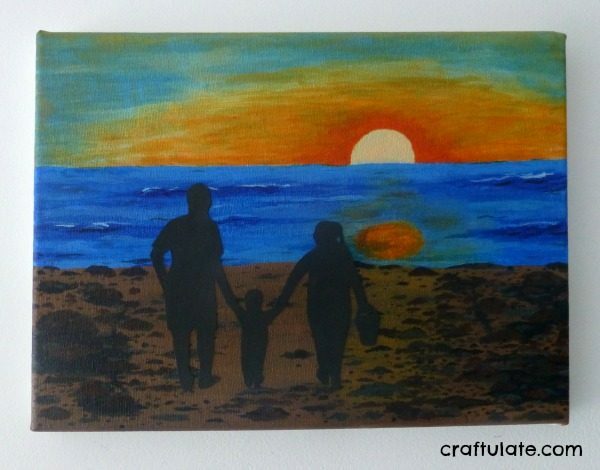 But as those little ones grow older, you might find yourself needing a little “creative me” time. I’ve collected some wonderful ways to make art that will be perfect for hanging on any wall in your home! These are SO popular right now! You can chose whole books with themes like Animals, Swirls, Christmas or Mandalas, as well as fun themes like Game of Thrones, KickAss Cats or even Swear Words! Or you can download them one by one if you prefer. 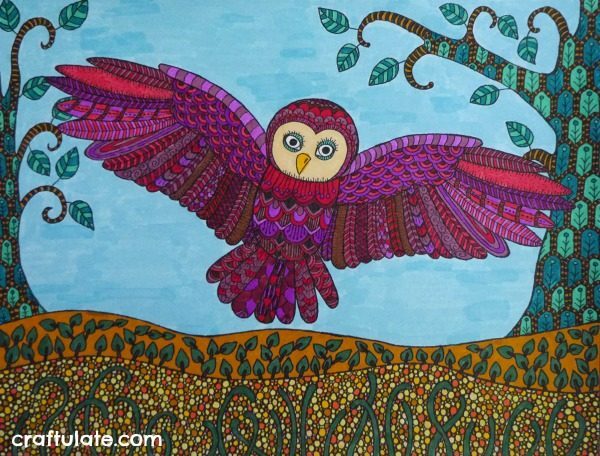 I recently completed this gorgeous owl picture from Red Ted Art! Moms & Crafters has absolutely loads of adult coloring pages in different styles – I particularly like the Chocolate with Chocolate one! Just grab yourself some fine tipped coloring pens and get started! 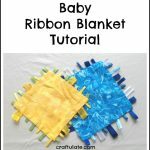 Tape resist is a technique that I use frequently with children, although it does usually need an adult to lay out the tape first. 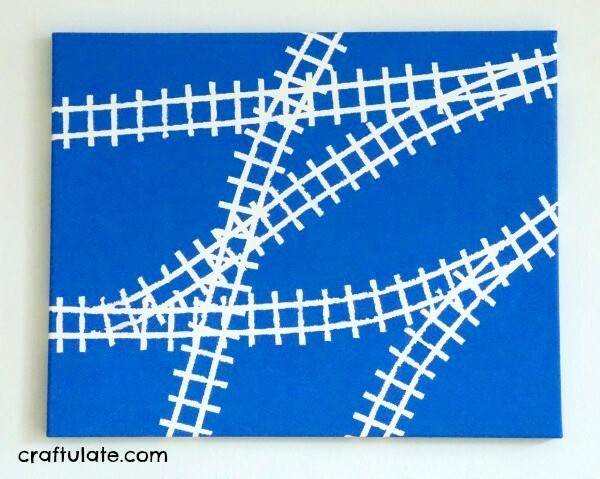 Try a project like this Train Track Art! My son did help with the painting, but most of the time was spent applying the tape. The results were very satisfying! All you need is a stretched canvas or canvas panel, some painters’ tape, a creative idea, and you can get started. How about using the tape to write out your child’s name, or perhaps a shape like a heart? 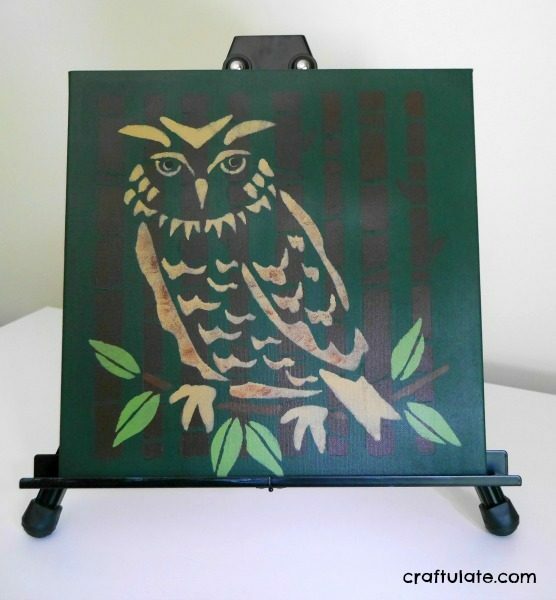 When I became an Ambassador for PLAID Crafts, my eyes were opened to the world of stencils! 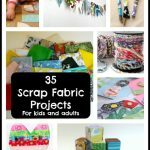 They can be used for so many home decor projects, wall art, greeting cards and more! 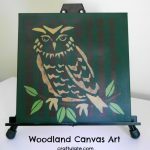 I experimented with a double-layering effect with this Woodland Canvas Art (and yes, another owl picture!). The letters are filled with dyed couscous, salt, and rice. I’ve kept it simple here because my son was helping, but you could create all kinds of shapes and patterns! The second is from paper punches. 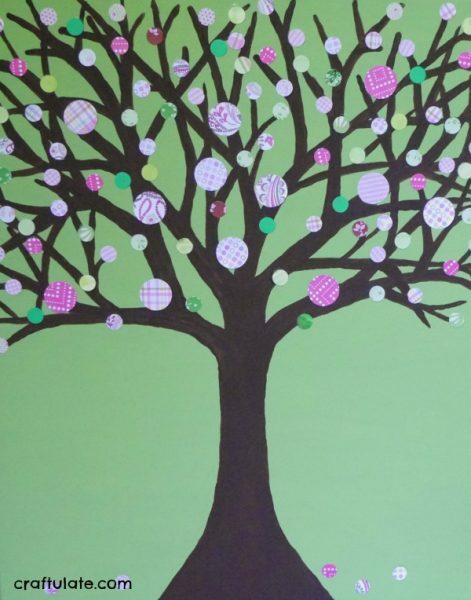 After making these paper punch trees with the kids, I went on to make a bigger picture on canvas. 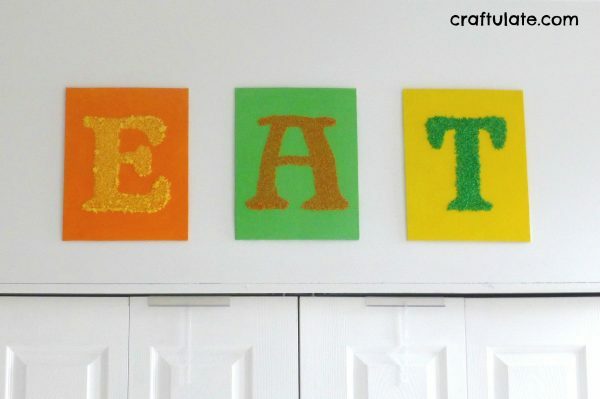 So easy and great for using up scraps of paper! Simple art at it’s finest! All you need is a decent quality sketch pad and a set of pencils, and you can get started. Try still life, people, landscapes, doodling or just use your imagination! 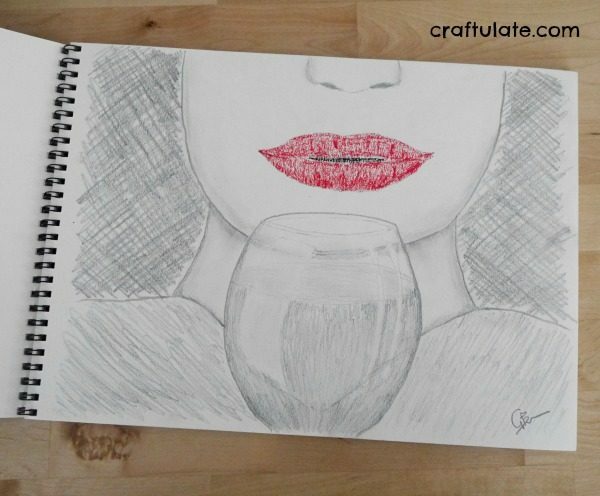 The drawing below was created as part of a sketching challenge called Sketchwhack! 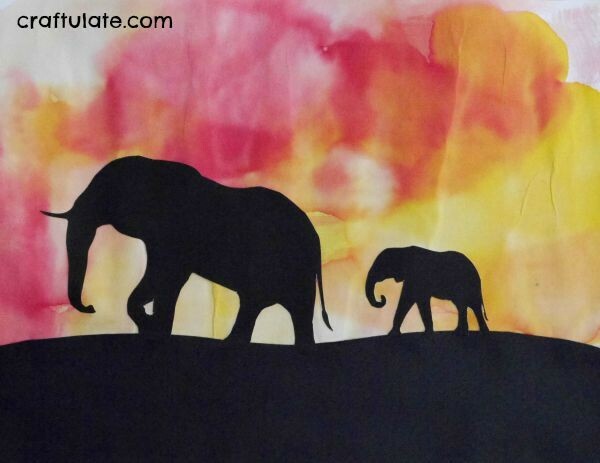 I used a similar technique with an elephant silhouette for this Watercolor Sunset Art – although my son painted this background! This simple art technique of rolling paper is very effective and I remember learning to quill when I was a teenager. I revisited this method a couple of years ago and now find it very therapeutic! I started with this Beginner Quilling Kit which contains all the tools and some paper strips to get you started. One of my first projects was to make some small quilled trucks for my son’s construction site themed bedroom. 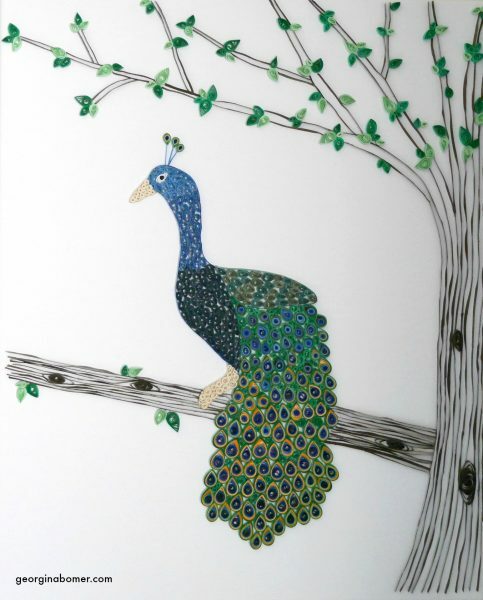 I started to get more adventurous and made this large 16×20″ quilled peacock! I wish I’d given the background a wash of color before I started, but otherwise I love it! So I mentioned tape resist art earlier, but you can have some great fun with watercolor paints too. Watercolors resist materials such as crayon – my son and I have had a lot of fun where I write secret notes or pictures in white crayon and then he reveals them by painting over them. But also watercolor paint resists glue. 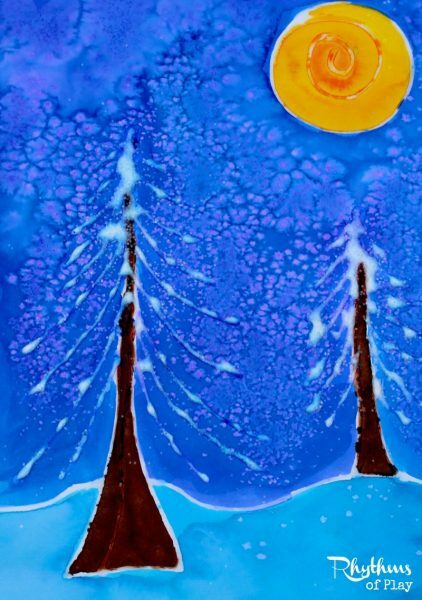 I love the way that Rhythms of Play made these alpine tree pictures. Why contain yourself to art on paper or canvas! How about fabric? Use them to add detail to bags or shirts, or perhaps even cushions! Try fabric markers or how about 3D dimensional puffy paint for fabric? Check out these Spray Painted Shirts from Craftwhack or this Fabric Painted Pillowcase from Hands On As We Grow! 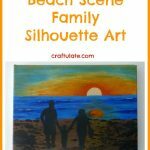 If you want some homemade canvas artwork on your wall, but don’t feel like you can paint something beautiful – try this solution! Paint a canvas with a sealer, let it dry, then flip it over. Draw your reverse design on the back, then use a super sharp craft knife to cut out your image. Here are a set of four small canvases that I made for our dining room! 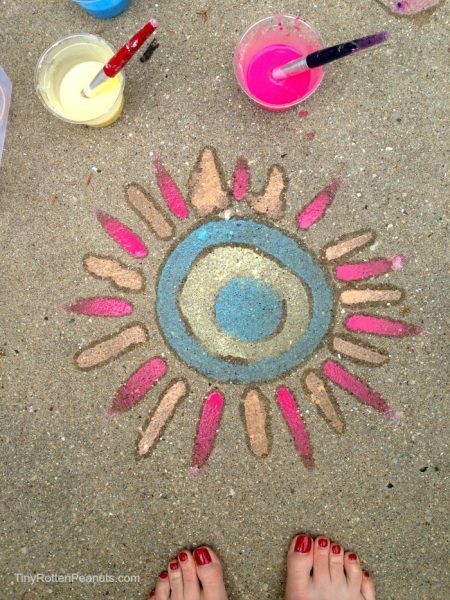 Mix yourself up a batch of sidewalk paint and get creative outside! 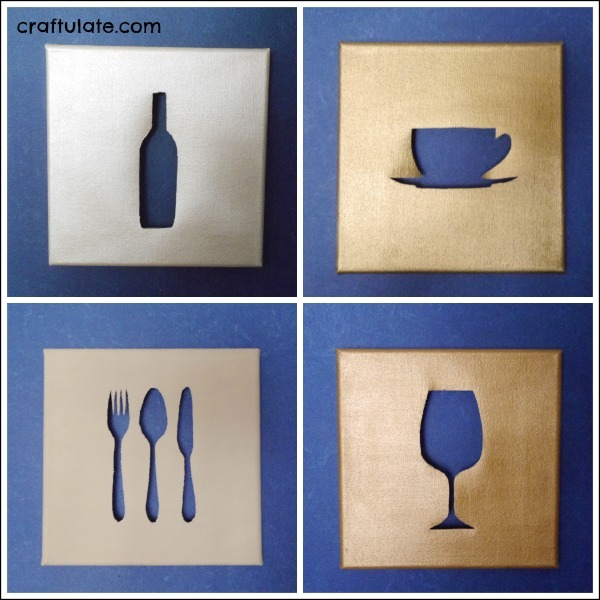 Check out these great designs from Craftwhack! Looking for more ideas? 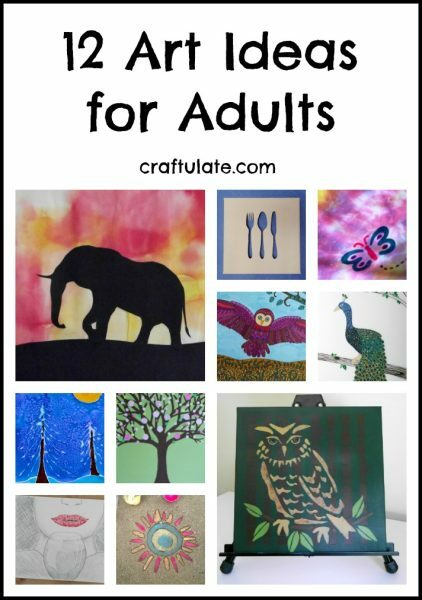 Check out my Pinterest board: Art and Crafts for Adults.